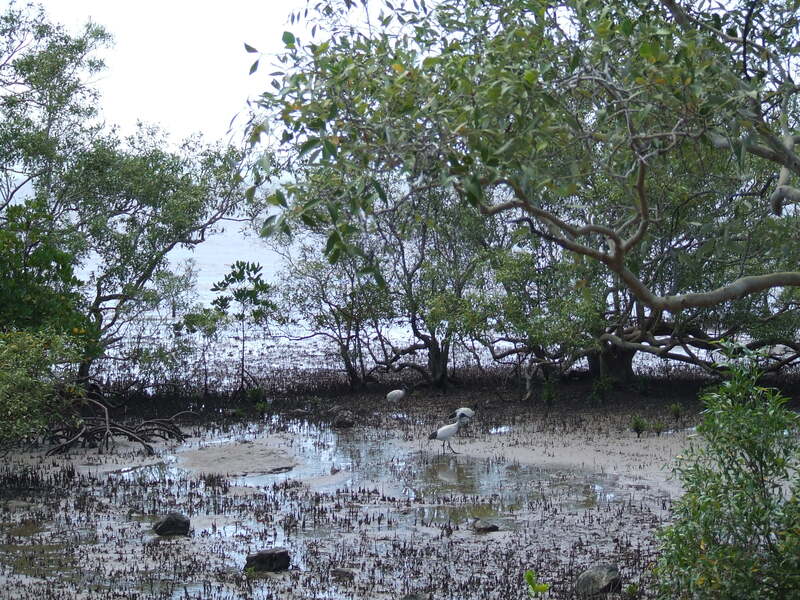 Recently those of us fortunate enough to have been involved in the ABC Open, Umbrella Studios, and the Great Barrier Reef Orchestra collaborative project to create a video of the mangroves as a backdrop for the Barrier Reef Orchestra’s performance of Peter Sculthorpe’s Mangrove composition have been blogging about the experience. The links to these blogs at ABC Open are: Graeme Buckley (The musicians) will also take you to links for blogs by Sabine Carter (The community orchestra), Nathan Morris (The Sculthorpe composition), Danielle Berry (The collaboration), Jesse Joseph (The performance), Alan Junior (The achievement), and my blog (The artists). This entry was posted in News and tagged ABC Open, artists, filmmakers, mangroves, muscians, music composition, Peter Sculthorpe, The Great Barrier Reef Orchestra, Townsville, Umbrella Studios, video. Bookmark the permalink. It’s terrific, Lynn. Well done! Such a interesting project.